Pisco is commonly regarded as a lookout of the Cordillera Blanca because of the easy access and stunning views from the summit. Our approach passes through the Llanganuco valley where we pass by two beautiful lakes, Chinancocha (3,850m) and Orcococha (3863m). 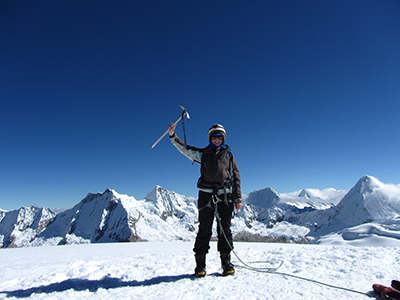 The summit is surrounded by impressive mountains such as Huandoy (6,395m), Alpamayo (5,947m), Artesonraju (6,025m), Chacraraju (6112m), Chopicalqui (6345m), Huascaran (6,768m) and countless others. 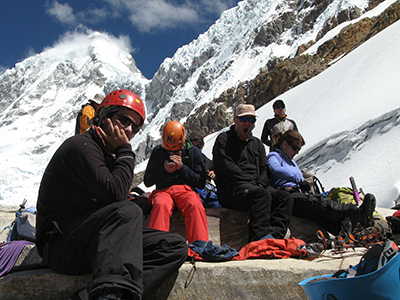 We offer climbing options with a stay in Pisco refugio as well as donkey support. We board a bus to take us through the Callejon de Huaylas, Carhuaz, and through villages. From there we take a detour through Yungay to Lake Llanganuco (3850m), then arrive to Cebollapampa where we will start the trek to base camp. We wake up early for an alpine start, and reach the summit for an amazing 360° view of Chacraraju, Artesonraju, Pyramid, Chopicalqui, Huascaran and Huandoy. Then we descend for a few hours to base camp where we sleep for the night. This day is an easy 3-hour walk back to Cebollapampa, where we will drive back to Huaraz.